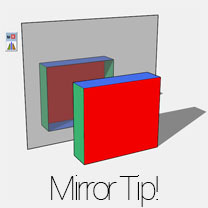 In this quick tip you will learn how to mirror selected objects or geometry in SketchUp. This is a time saver for objects that are symmetrical. When it comes to being productive in SketchUp knowing where, and when, to mirror objects can save you a heap of time. You will learn how to do this using the SketchUp Scale Tool and the Flip Along context menu method. You will also learn how to do this via an extensions which supercharges the process! Cars included in exterior renders of architectural scenes help with the scene composition. Some 3D artists prefer to add them in post production using an image editor application. I prefer to include them in my scene using SketchUp. At times there is a specific need of a car render look. By learning it, you are capable of outputting nice renders of cars, motorcycles and all other vehicles. So this tutorial focusses on how create a car paint and an studio set up for car rendering using V-Ray for SketchUp. In this tutorial for SketchUp you will learn how to use Bundles in SketchUcation Tools 2.6.1 to sync your plugins and extensions to multiple devices. Your office and home desktops and laptops will thank you for it...trust me! Not only that you can also sync different versions of SketchUp! Yep! Want your fresh SketchUp 2014 install to have everthing that you had in SketchUp 2013? Easy...just use SketchUcation Tools. A few months ago someone was looking for tutorials on how to make low polygon models in SketchUp. At the time I was not particularly well versed when it came to low polygon modelling so I decided to learn for myself. During that time I researched the best methods and techniques needed. I discovered low polygon models can look great with the right texture applied. If you ever get SketchUp startup error-messages relating to plugins? This usually means that some plugins are not loading properly and it indicates they have not been installed properly. Or maybe you get system messages actually preventing you from adding/managing files/subfolders to the Plugins folder in SketchUp. This guide will help you identify the problem and fix it for both Mac and PC devices. In this tutorial we will focus on creating custom libraries in SketchUp that allow you to easily manage your assets and speed up your workflow. Understanding how these custom libraries are created and located will make transitioning to newer versions of SketchUp a walk in the park! In the last tutorial we looked at the method for importing textures into SketchUp and how to grow your materials libraries. In this tutorial we will focus on editing materials in SketchUp. SketchUp has lots of hidden features when it comes to editing materials. Knowing where these are and what these do is an important part of becoming a better SketchUp artist. Adding your own imagery to SketchUp is the easiest and quickest of growing your SketchUp Materials Library. In this Beginner Tutorial you will learn how to use 2 methods to add images to SketchUp and save them to your own custom library for re-use in other projects. Building your own Material Libraries in SketchUp is a great way to boost your workflow and helps create better looking models. New users of SketchUp are often confused when trying to intersect geometry. The intersection edges "seem" to be created however their faces are not separated by them and they cannot delete excess geometry. In a little bit complex model it is not only frustrating but also confusing as many of the other entities can hide the main "culprit"; in which editing context we are applying the Intersect tool. In this SketchUp tutorial, we shall examine the different reasons and how the editing context can affect how intersection is created and behaves.